Set multiple casing strings without breaking the BOP stack with a Multi-bowl Wellhead System from Downing. With a variety of options and unique features available, you can reduce risk for your employees and improve efficiencies while saving money over conventional wellhead systems. Unitized and two-piece systems available. 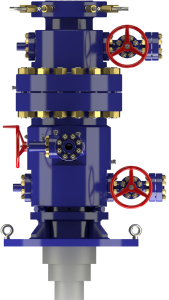 A single-body, pinless wellhead featuring an internal latch system. With several casing hanger options available, this system can be shipped and assembled as one unit. 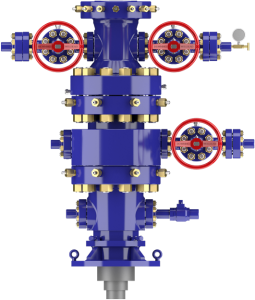 Why Choose a Downing Multi-Bowl Wellhead System?